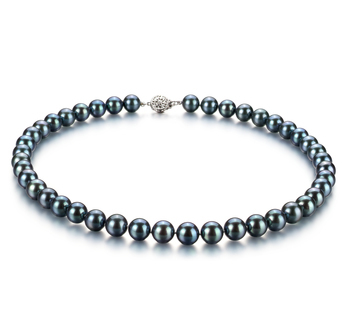 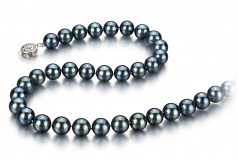 Shimmering and shinning is the first feature you notice when you look at the Black Japanese Akoya Pearl Necklace. 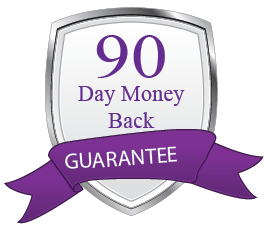 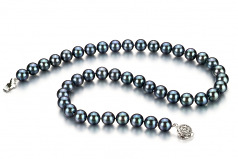 The quality of the lustre, pearls and craftsmanship all came after hand. 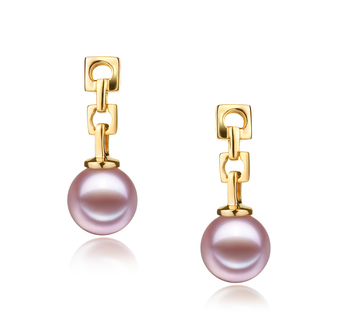 The 8-8.5mm size tends to run on the higher scale for the Japanese Akoya but the superior mirror like lustre takes a powerful stance and lights up the pearls with a sparkling array of colours. 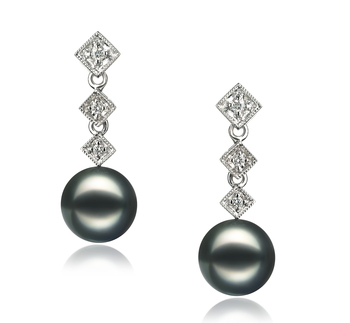 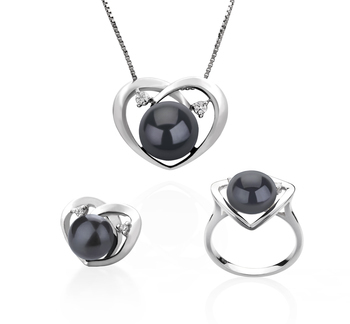 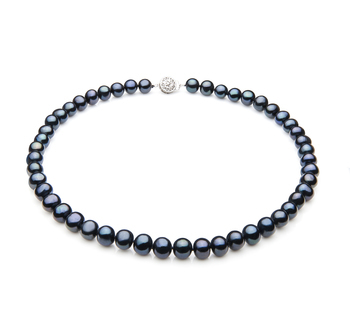 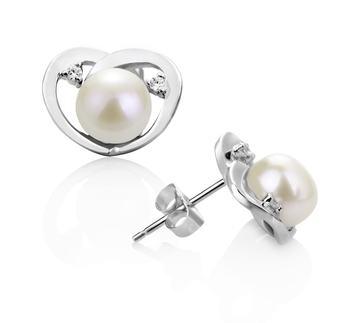 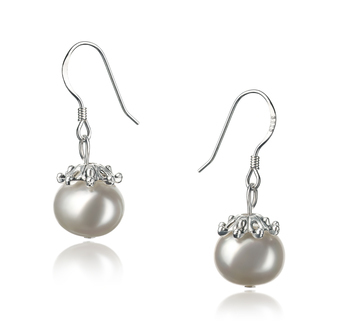 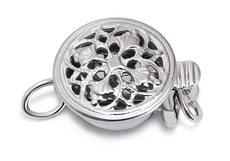 The AAA slightly out of round shape of the Black Japanese Pearls play right into the sparkling power. 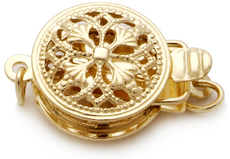 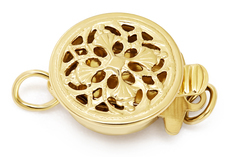 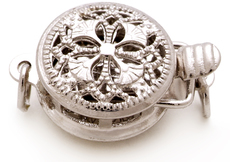 The necklace comes together in the back with a modern clasp.